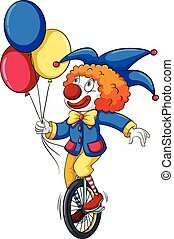 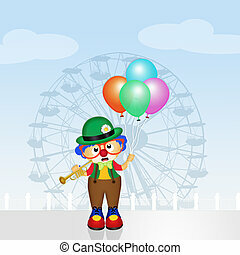 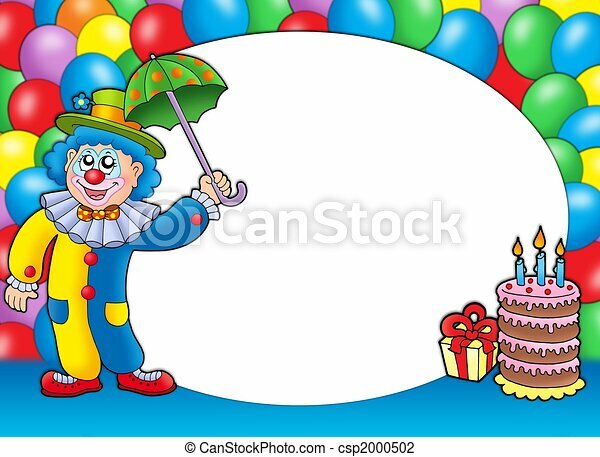 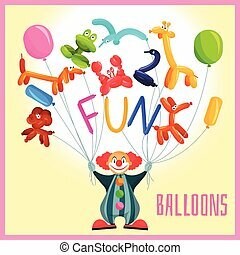 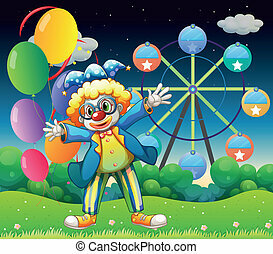 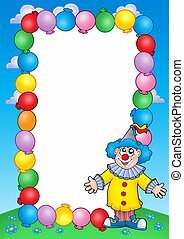 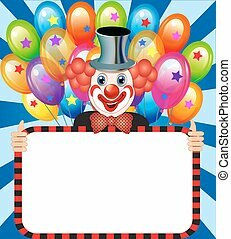 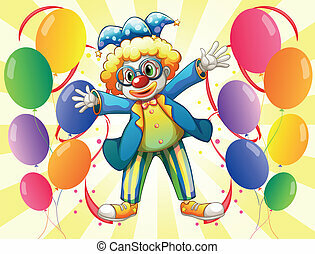 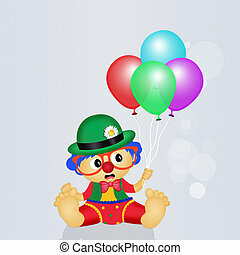 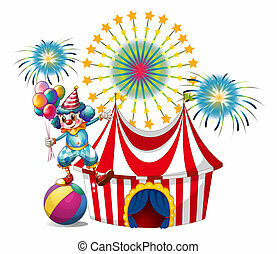 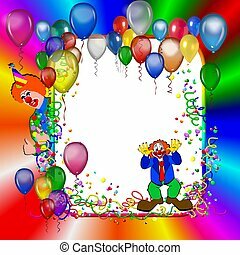 Round frame with clown and balloons - color illustration. 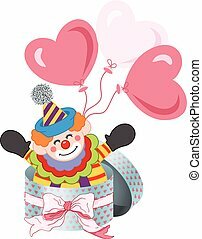 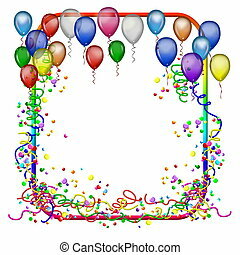 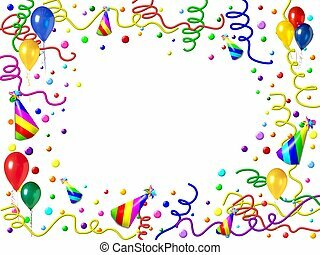 Scalable vectorial image representing a happy clown in round gift box with bow ribbon and balloons, isolated on white. 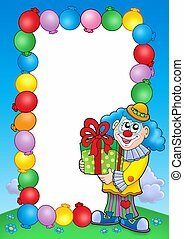 Party invitation frame with clown 1 - color illustration. 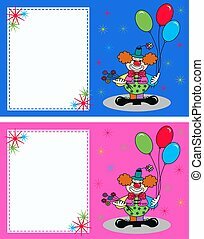 Party invitation frame with clown 2 - color illustration. 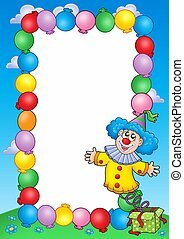 Party invitation frame with clown 3 - color illustration. 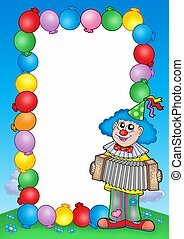 Party invitation frame with clown 4 - color illustration. 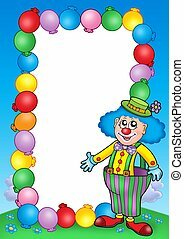 Party invitation frame with clown 5 - color illustration. 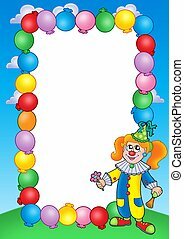 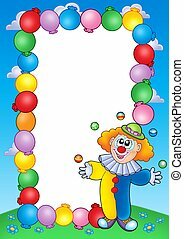 Party invitation frame with clown 6 - color illustration. 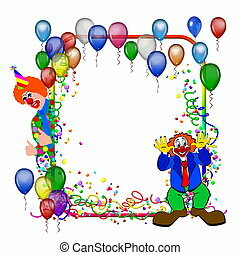 Party invitation frame with clown 7 - color illustration.